Planning your New Year’s Eve party early in Boston? Good choice! Prices are often the cheapest in early December, with prices increasing every week until you’re left scouring the internet for any events that aren’t already sold out. Let Flavor Media be your guide! We’re throwing some very cool New Year’s parties this year at some of Boston’s newest and most prestigious nightclubs, and we want you to be a part of it! 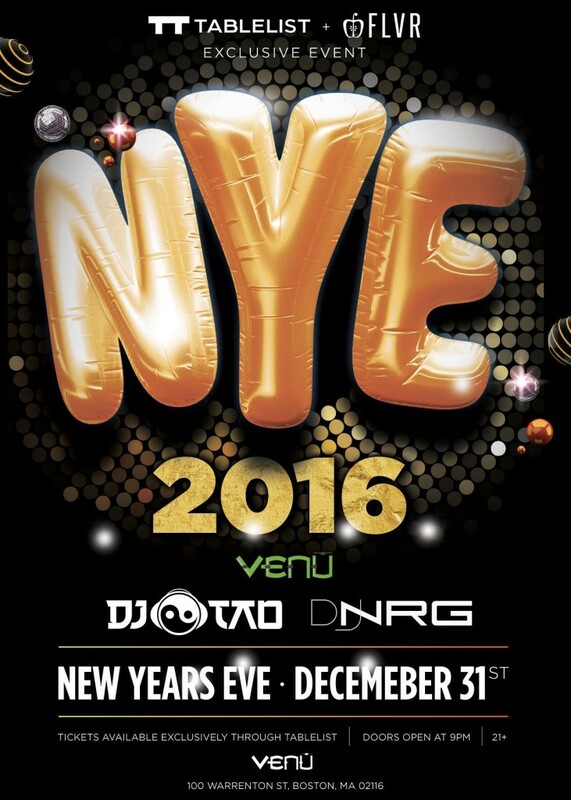 Come join the FLVR team on December 31st at our flagship NYE event at Venu Boston, with music by two of Boston’s best DJ’s, DJ Tao and DJ NRG! Venu is Boston’s leading nightclub destination, catering to a cultivated clientele with higher sensibilities. The exquisitely designed space is the work of the famous JFS Studios, and encompasses everything our guests have come to expect in a nightlife destination. Since opening in 1999M Venu has impeccably maintained its position as the most sought-after cosmopolitan nightclub in Boston by providing unequaled customer service. 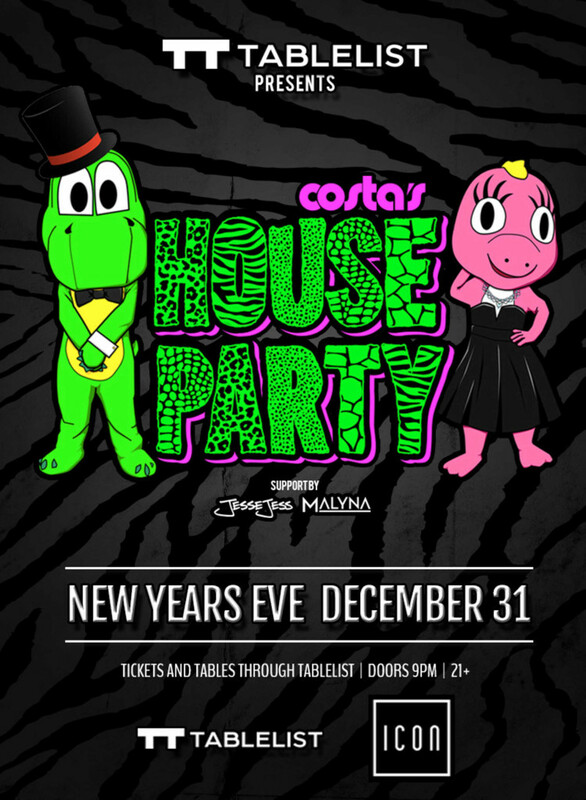 DJ Costa’s House Party invades our Friday home at Icon to bring you a fun-filled NYE party like no other! Forecast: house music and lots of fun. 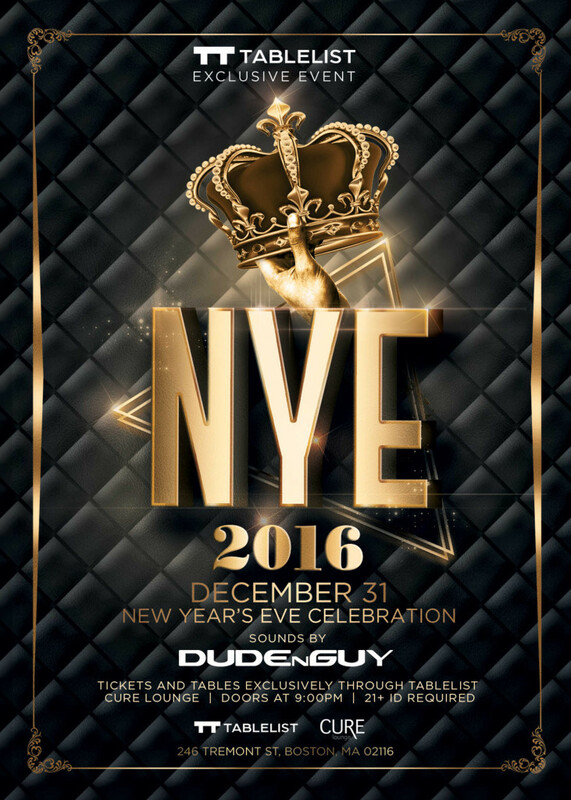 New England favorites DUDENGUY take over Cure Lounge on NYE for an unforgettable party!